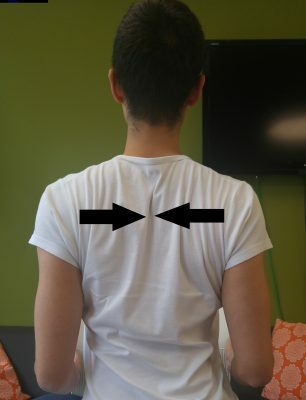 In a sitting position, slowly and with ease, draw your right ear towards your right shoulder. You may place your right hand over your head and let it rest on your left cheekbone for slightly more pressure. Hold for 20-30 seconds. Repeat on other side. Perform 3-4x throughout the day. 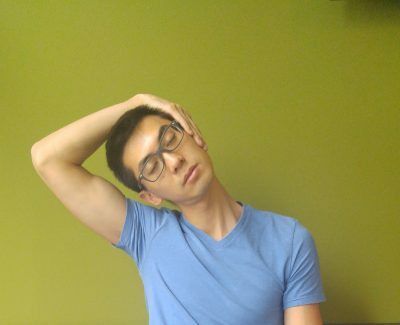 Similar to the trapezius stretch, the above stretch can be modified by gently pulling your head and directing your nose to your underarm region. Hold for 20-30 seconds. Repeat on other side. Perform 3-4x throughout the day. 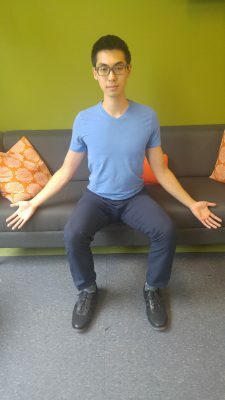 Sitting on the edge of a chair with legs slightly wider than shoulder width apart, have your palms face upwards and lift the chest up. Hold for 20-30 seconds. Perform 3-4x throughout the day. 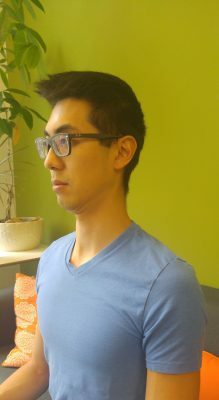 While seated, look forward and bring your head backwards, as if you were making a double chin. Make sure not to tilt your head down. Hold this for 8 seconds. Repeat 5 times and that’s one set. Perform 3-4 sets throughout the day. 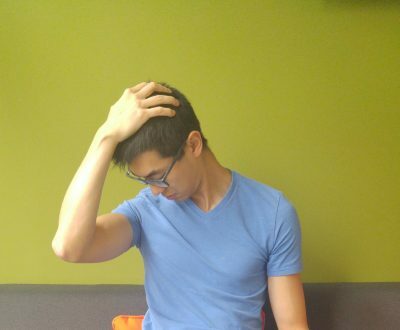 Sitting comfortably on a chair with arms relaxed by your side, squeeze shoulder blades together without raising them. Hold for 8 seconds before releasing. Repeat 5 times and that’s one set. Perform 3-4 sets throughout the day. 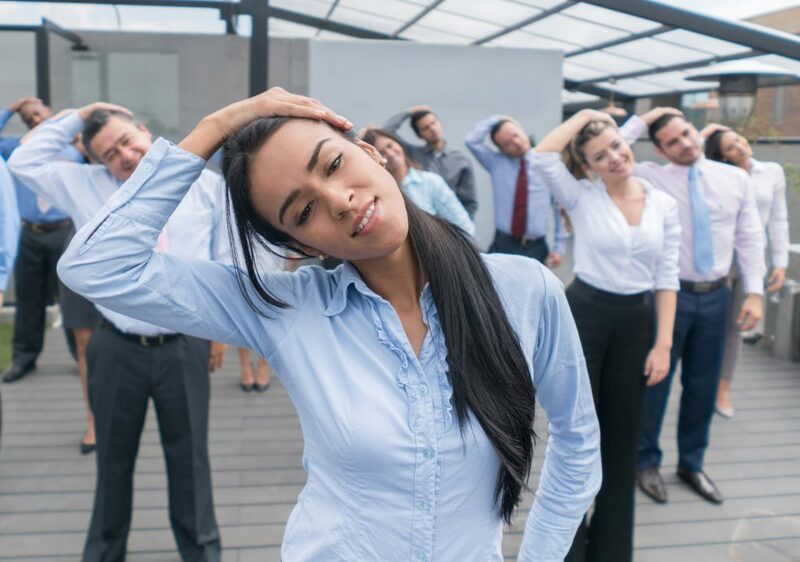 Should you wish to pursue more information regarding upper cross syndrome or further exercise instruction, please consult with a chiropractor today! Dawson-Cook, S. (2011). 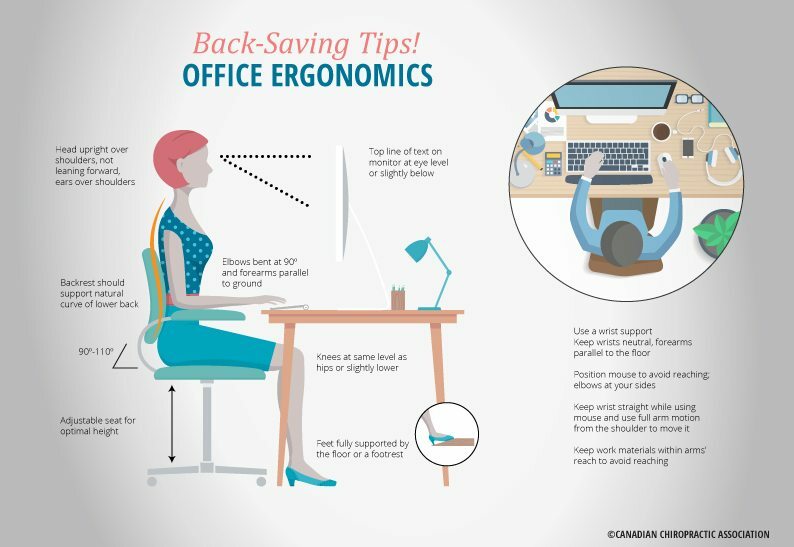 How’s Your Posture? American Fitness. (3), 24.